Earning a bachelor's degree in public health is a great way to get experience and education in a variety of public health related areas. Public health bachelor's degree programs cover areas like environmental health, epidemiology, global health, biostatistics, public health programs, evaluation, and research. Most programs provide students with the opportunity to complete an internship or practicum to gain hands-on experience in the field. Bachelor's degree programs in public health can prepare students for graduate study in public health or for continued education in a biomedical field. Graduates are prepared for entry level positions in a variety of settings including government, hospitals, social service organizations, research, and human service. To identify the top 35 most affordable bachelor's in public health, we started with a search on College Navigator to find out which schools offered these programs. Due to the large number of public health programs, we chose to narrow our list to only programs holding Council on Education for Public Health (CEPH) accreditation. The CEPH is the nationally recognized accrediting body for public health programs. We determined the net cost of each school using figures provided by College Navigator and ranked each school accordingly. All schools to make our list have a net cost of less than $19,500/year. 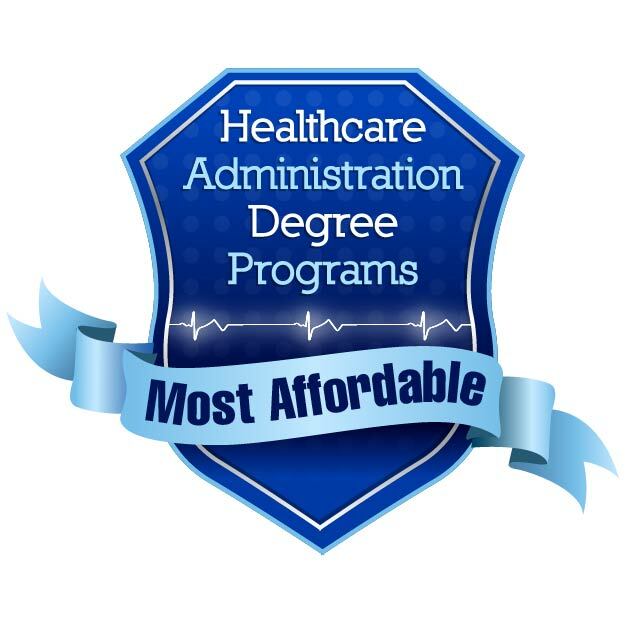 Below is our list of the top affordable bachelor's in public health degree programs for 2018. The College of Public Health at the University of Kentucky offers the affordable bachelor's in public health program. It's the only professional undergraduate program of its kind in the state. Unique electives are available in sexual health, tobacco and the public's health, preparing for apocalyptic events, and public health through popular film. While there is no internship requirement, students are encouraged to gain hands-on experience through volunteer work or employment. The affordable bachelor's of public health program at the University of California Berkeley is designed primarily for students planning to attend graduate school in public health. Admission is highly competitive. Students apply to the program at the end of their sophomore year for admission to the program in the fall. A hands-on capstone course is one of the program's highlights. Options change each semester to reflect the rapidly changing field of public health. Several options are available online, making this a great choice for students unable to travel to campus. Through a dynamic multifaceted curriculum, students learn about public health issues facing the U.S. and abroad, environmental concerns, and infectious diseases. The School of Public Health at the University of Maryland features an affordable top online bachelor's in public health with a robust curriculum. Students will understand how to recognize and address public health issues at a variety of levels. It's ideal for students who plan to go into medicine or pharmacy as well as students who plan to continue on to master's studies in a variety of disciplines. A culminating public health capstone gives students the chance to showcase their skills and abilities, gaining valuable experience. The affordable public health bachelor's degree at the University of Michigan will prepare students for the rapidly changing field of public health. During the final year, students complete a supervised field experience in a health and wellness setting, gaining valuable hands on experience. The public health major is 41 credits of coursework including a capstone project in modern public health problems and solutions. An evidence-based public health capstone project serves as the culminating experience. The affordable bachelor's in public health program at the University of Arizona is available in both an on-campus and online format. Known for its community-based research, the UA Zuckerman College of Public Health provides students with the opportunity to engage in research and be involved in the community. Students interested in environmental health can pursue an accelerated five-year bachelor's to master's in public health. -public health issues in Hawai'i. Students complete a public health allied learning experience and a capstone project to complete their degree. Students can participate in study abroad opportunities, an undergraduate public health club, the Georgia Public Health Association, and the American Public Health Association. The University of Florida's College of Public Health and Health Professions features a top affordable bachelor's in public health. 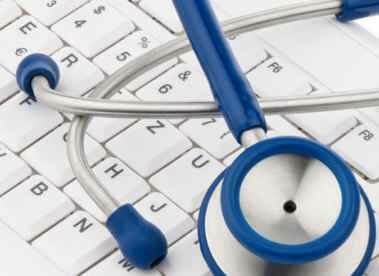 It's designed for students who want to prepare for an advanced degree in public health or a related field. This limited access program is competitive and students need to apply for admission during their sophomore year. Faculty are experts in their field. They share their knowledge and experience with students to help to make a difference in public health. The affordable bachelor's in public health from Southern Illinois University is an interdisciplinary program. It meets the standards set by the National Commission for Health Education Credentialing (NCHEC) standards. Students can choose to earn their Middle School Health Endorsement or their High School Health Endorsement. The program is heavily focused on service learning, with opportunities for internships and community partnerships. The University of Iowa has public health programs that meet the needs of those interested in liberal arts or biomedical sciences. Both degree programs share a solid foundational public health core before branching out into degree specific coursework. Students complete a capstone experience at the end of the program, allowing them to apply their public health knowledge and skills. Students finish both an internship and capstone experience to complete their degree. Unique elective course offerings are available in LGBTQ health, reproductive rights, nutrition, and health management. Students complete an internship in public health to gain valuable hands-on training. The innovative bachelor's in public health program at East Tennessee State University features concentrations in both community health and health administration. The program has been revamped to include more hands-on learning opportunities including a semester-long internship. This affordable bachelor's in public health is CEPH accredited. It's one of the most established programs in the country. An internship provides students with valuable public health field experience. Graduates will have the knowledge and skills needed to become Certified Health Education Specialists. Students explore each of these areas using real-world examples to prepare them for graduate study or entry level employment opportunities. Public health student organizations like The Public Health Initiative and Students 4 Public Health keep students actively engaged in the field while earning their degree. Eastern Kentucky University features the longest standing CEPH accredited bachelor's of public health program in the state. There are two distinct programs including the Community Health Concentration and the Pre-Professional Concentration. Faculty are heavily involved in the field. They hold leadership positions, publish their work, and make national presentations. Seniors can complete an internship to gain valuable field experience. Graduates are ready to sit for the CHES exam to earn their certification as Certified Health Education Specialists. All students complete a professional practice internship experience working in a public health setting. Students have the opportunity to complete a public health fieldwork experience and an advanced project in public health to master their skills. Western Kentucky University features an affordable bachelor's in public health program with a concentration in health education or environmental health. Students can be admitted to the program after they have completed 30 credit hour and met the prerequisites. One of the program's highlights is an internship at a site that is of interest to the student. No minor or second major is required. However, students can add a minor in health education, occupational heath and promotion, or worksite health promotion to meet their professional goals. Specializations are available in nutrition, infection control, health education, environmental and occupational health, and global health. Students can add more value to their degree by participating in student organizations including the Undergraduate Public Health Student Association or the Pre-Med American Medical Student Association. The bachelor's in public health program at the University of Nebraska is rich with hands-on learning opportunities. Unique electives like applied nutrition and drug awareness make students aware of the latest trends and behaviors in key public health areas. All students complete a semester long internship experience in a community agency in an area of public health of interest to the student. Graduates have gone on to work for the American Red Cross, the Multiple Sclerosis Society, and the Federal Government. -Physical Activity in Public Health Specialist Certification. Students complete a 320 hour internship experience in a public or community health agency, hospital, or non-profit. Students must declare a minor in their main health interest or work with an advisor to choose guided electives in their area of interest. Students have access to advising, career development services, and a Public Health Club which keeps them engaged in community activities. Graduates are prepared to work in a variety of public health settings including hospitals, school districts, and NGOs. The School of Public Health at the University of Washington features an innovative bachelor's in public health with a focus on global health. This 180 credit hour program can be completed as either a Bachelor of Arts or a Bachelor of Science. Students are encouraged to participate in experiential learning opportunities to apply their knowledge and skills to real-world problems. UW integrates experiential learning into the classroom, research, study abroad opportunities, and internship experiences. Graduates are well prepared for entry level public health positions or for graduate school. Unlike many other programs that admit students for their junior year, WVU admits first-time freshman directly into the program for a full four-year experience. All students complete an academic internship to gain hands on experience.